As the place “where rails and water meet”, the city of Welland is a moisture hot spot and moisture intrusion can lead to indoor air quality problems. 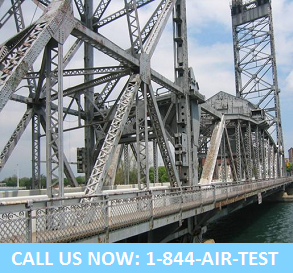 With our head office right in Niagara, we are perfectly located to service all your Welland air quality testing needs. Poor indoor air quality can produce a variety of unwanted health related symptoms and concerns! The professionals at Air Quality Solutions help to mitigate these issues though. We design customized indoor air quality solutions unique to your individual needs and budget. As industry leaders, our certified consultants are dedicated to providing you with the information you need to identify, locate and isolate airborne contaminants and stressors! With our accreditation’s, experience and knowledge you can rest assured that you will be getting the highest quality service in the region – guaranteed! – Matt Nadeau – Niagara. Call the experts at Air Quality Solutions today and let us show you how a small investment into professional Welland air quality testing services you can protect your home or business. One of our certified indoor air quality specialist is standing by…all you have to do is pick up the phone and call!